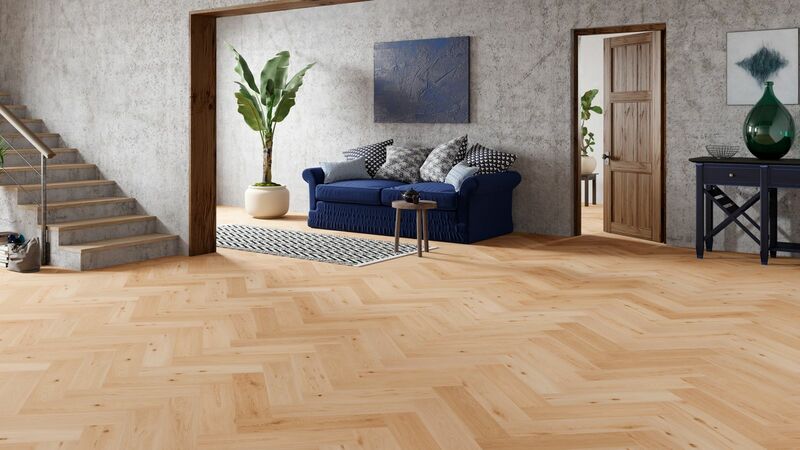 Give your home a makeover with the luxurious Natura oak herringbone engineered wood flooring. This great value herringbone oak floor has been brushed and oiled to offer a fantastic depth to the floor with a very natural finish. An added feature of this floor is the locking system, it can be used as a floating floor instead of being stuck down, making installation a whole lot easier. 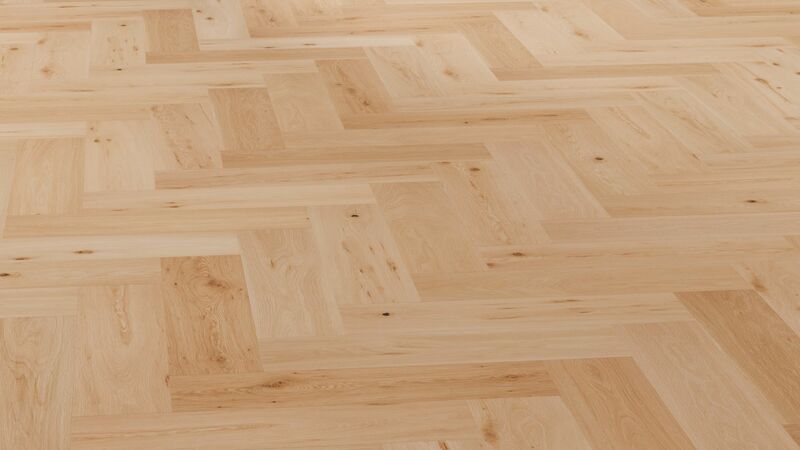 Feel free to read our guide to fitting an engineered parquet wood floor. We are looking to buy a property with a number of floors covered by cork tiles glued to a concrete floor. Can I install a floating parquet floor on top of the cork tiles? Hi John, all subfloors need to be flat, level and clean. As long as the cork tiles are sturdy and don't change height by more than 3mm in 1 square metre, they should be fine.